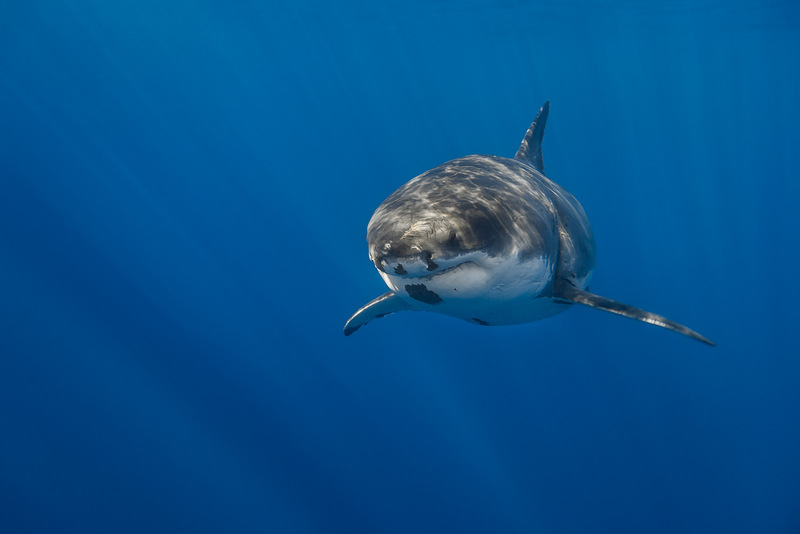 The beautiful Tzitzimitl (Air Demon), a female white shark (Carcharodon carcharias), swims near the surface off of Mexico’s Isla de Guadalupe. She is named after an Aztec deity who was considered a protector of women and was associated with the stars. 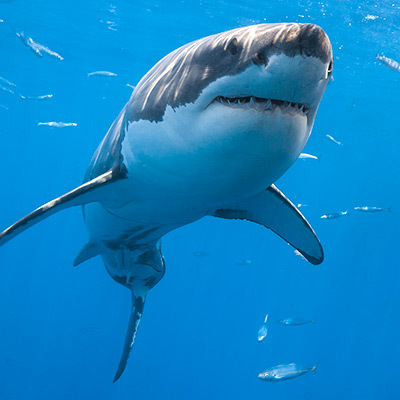 The dark patches under her chin and around her snout are clusters of parasitic copepods. 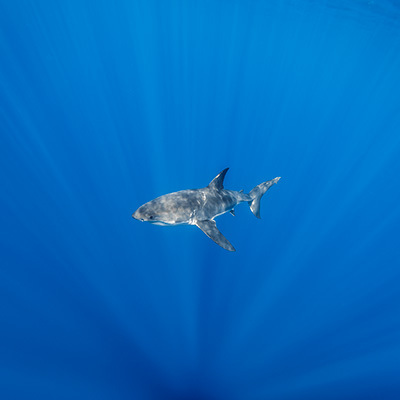 Tzitzimitl is also easily recognizable due to the upper tip of her caudal fin being missing, which is likely the result of a bite from another white shark.